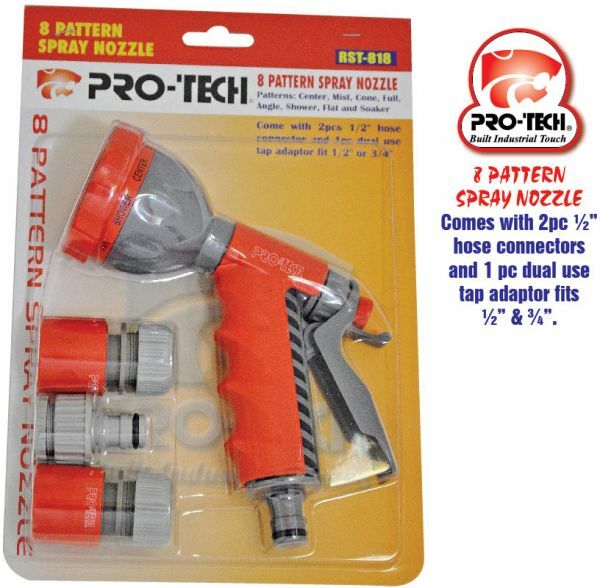 Pro-tech 8 Pattern Nozzle Spray is made from the finest material to make it durable and long lasting. Wash your car, clean your deck and mist your plants with this amazing nozzle spray. Comes with 2 pieces 1/2" hose connector and 1 piece dual use tap adaptor fit 1/2" or 3/4"